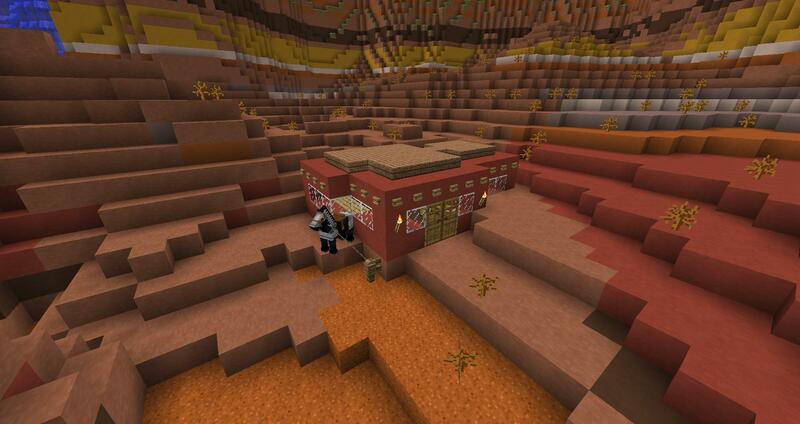 Discussion in 'General Minecraft Discussion' started by Mrlegitislegit, Sep 10, 2013. 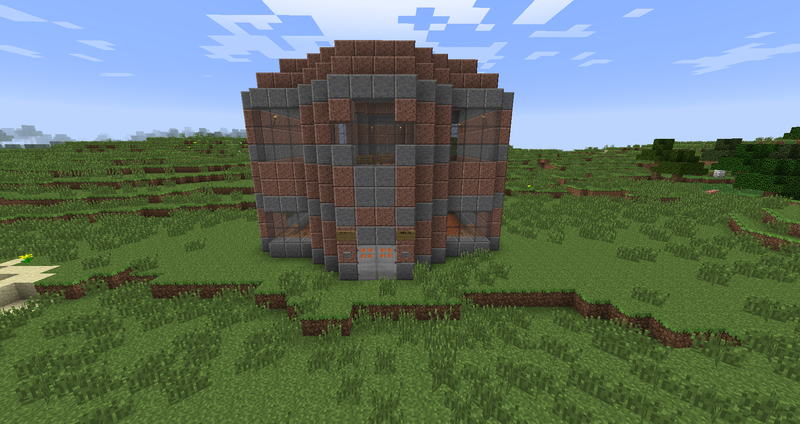 So I've deicide to try my hand at making Minecraft houses. 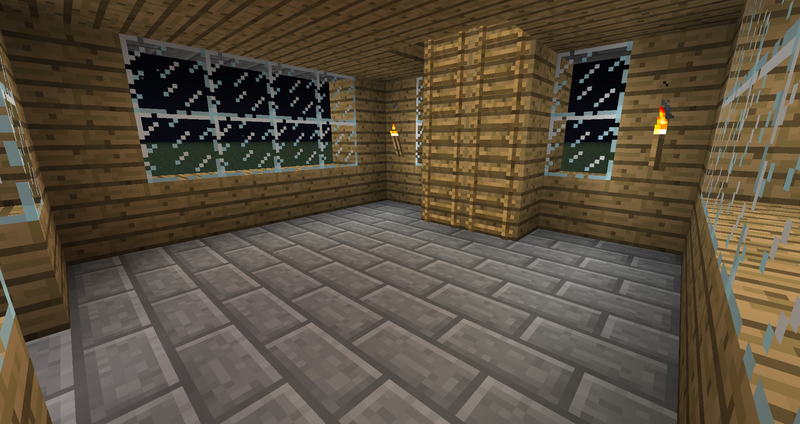 I'm not going to be building modern houses, as it seems just about everyone does and I generally don't like them, but I'm going to build simple houses that serves its purpose, but also have a good look to them. (Well, they look good to me, we all have opinions.) I've only made one so far, and here it is. 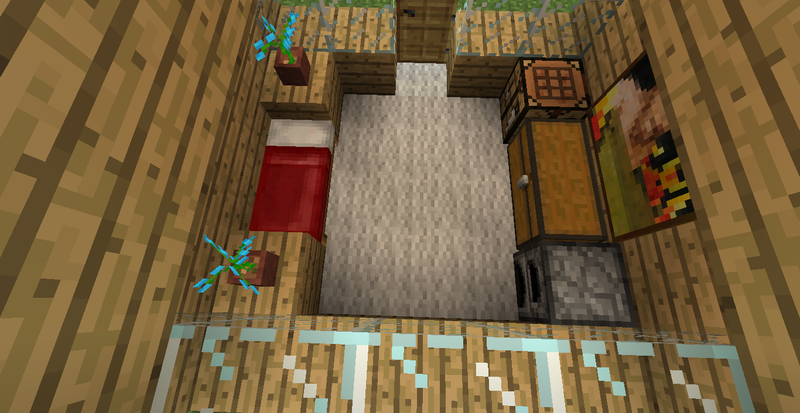 Its a tiny house, I know, but its good for someone who doesn't spend a lot of time inside or has a dedicated place for storage. AliceF3 and mba2012 like this. 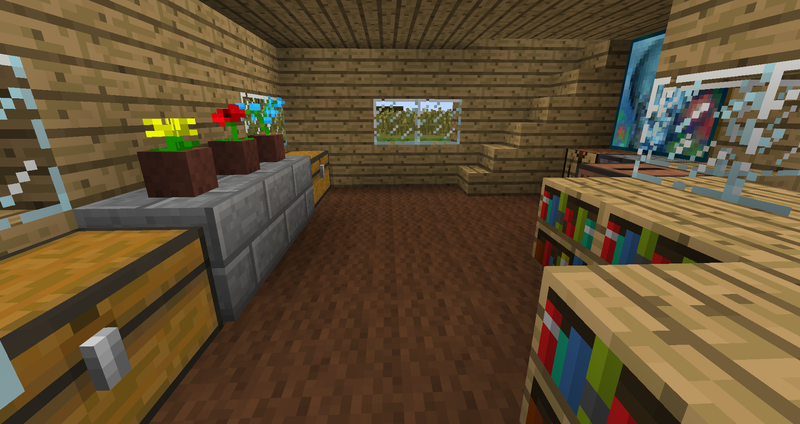 I really like the look of that - although, that amount of space is only really good for me for the first few Minecraft days I mine alot of crap really quickly. 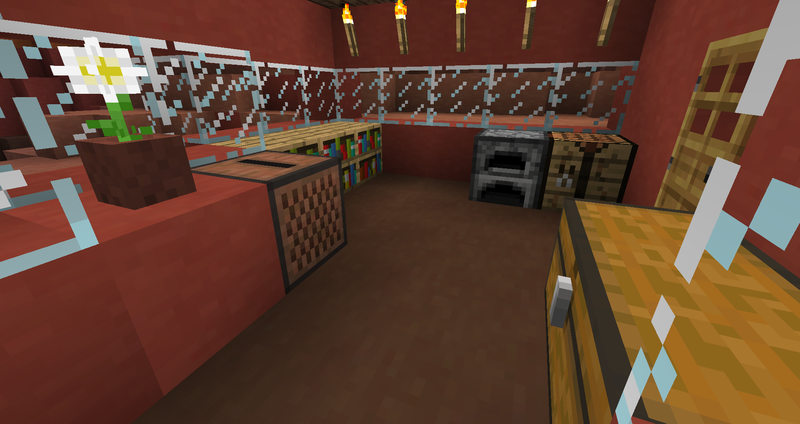 I myself make a storage space under my houses, so my top floors normally aren't all that big. why people like crap i will never know. 2. 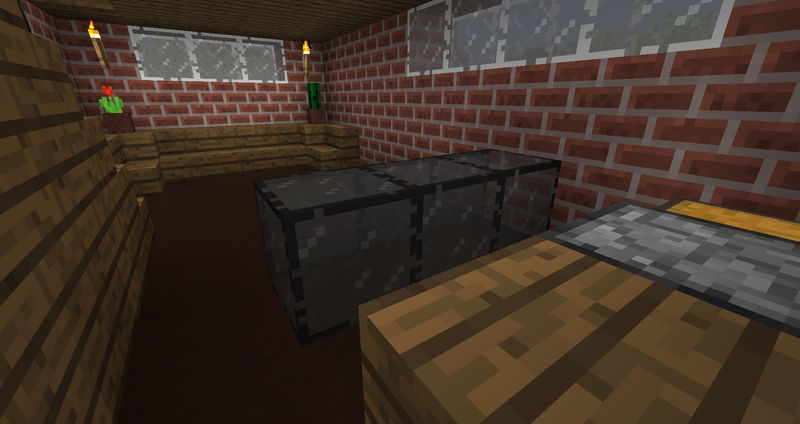 My houses are usually a rectangle with a flat roof. 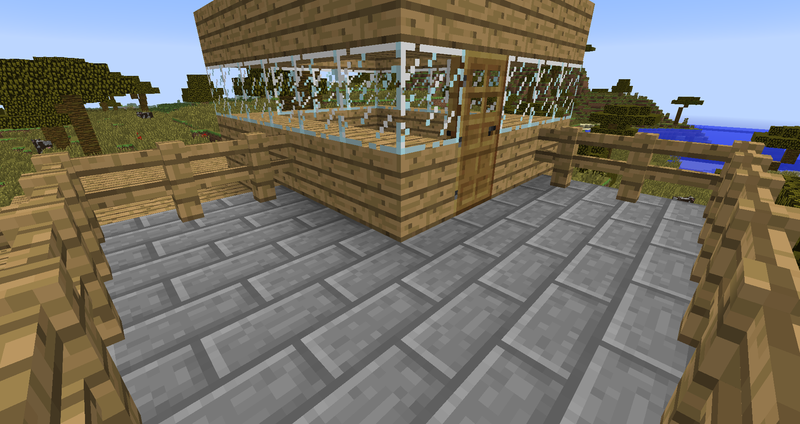 make the entire thing out of diamond blocks, (you supply the materials) and Ill buy one. Finally got around to making another one. jacob5089, hashhog3000 and AliceF3 like this. This one was a little bit of an experiment for me. I normally don't do much with upstairs and decks, but I thought I would take a swing at it, and I think it came out good. hashhog3000 and penfoldex like this. 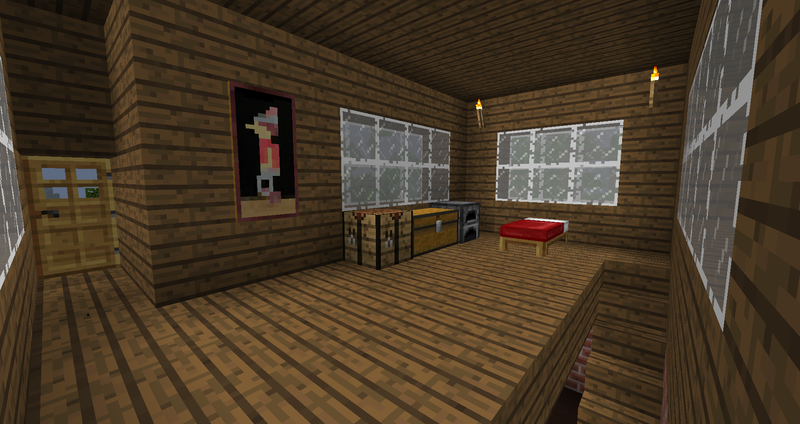 It has a raised upperfloor, and a somewhat exposed basement. 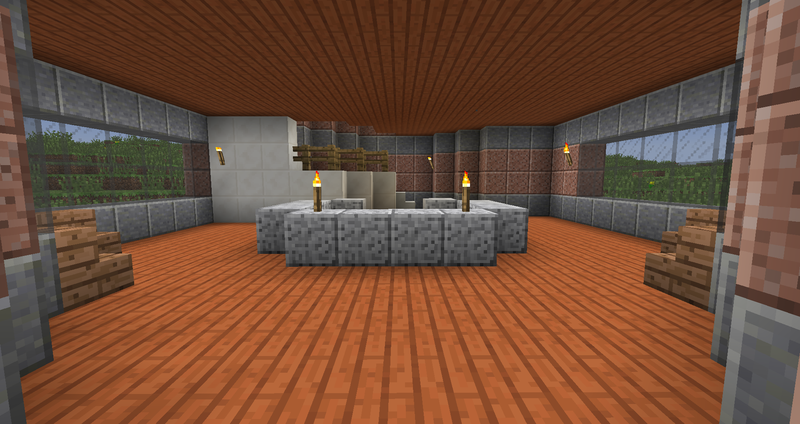 And the basement. Perfect for hosting a party, reading obscure poetry with your indie friends, reenacting your favorite fictional meth makers, OR ALL THREE! hashhog3000 and Palmsugar like this. 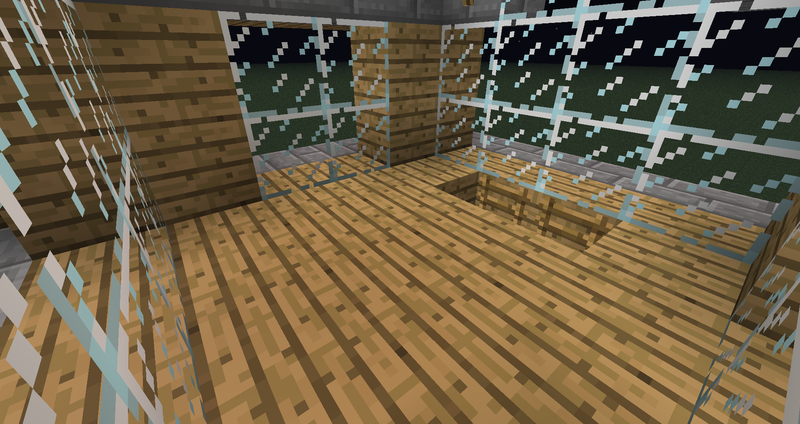 Looks nice, you think it might look better with black/gray carpets on the glass? 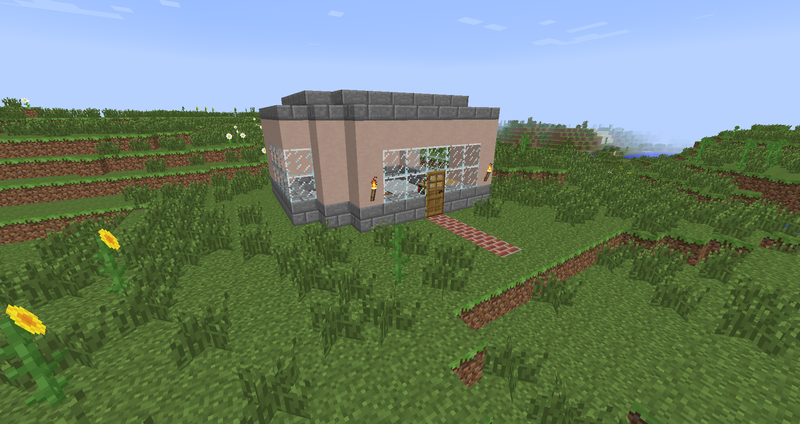 Finally made a new house. Forgot to do anything with the inside. Yeah yeah yeah, I know "YOU BUMPZED AN OLD THREAD!" 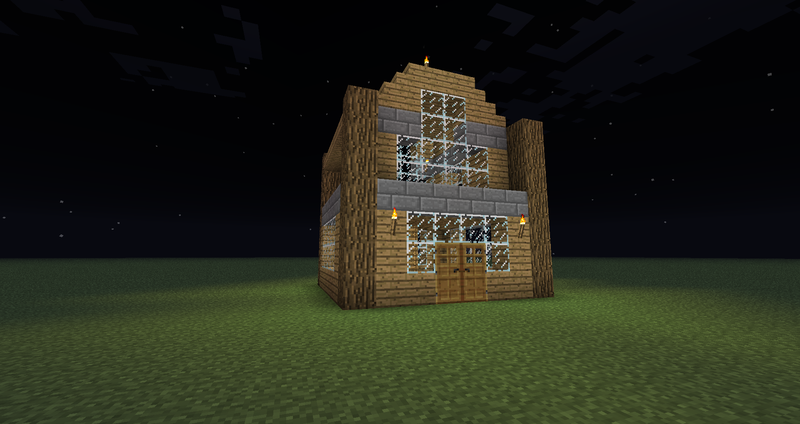 But I finally built something new, not a house, but a small office building/thing. jacob5089, 607 and hashhog3000 like this. 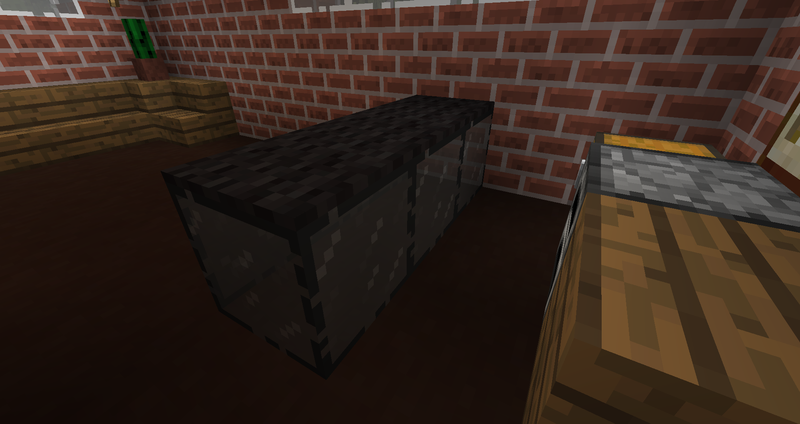 For those who do not know, he is using the new blocks from the 1.8 update. Love it! 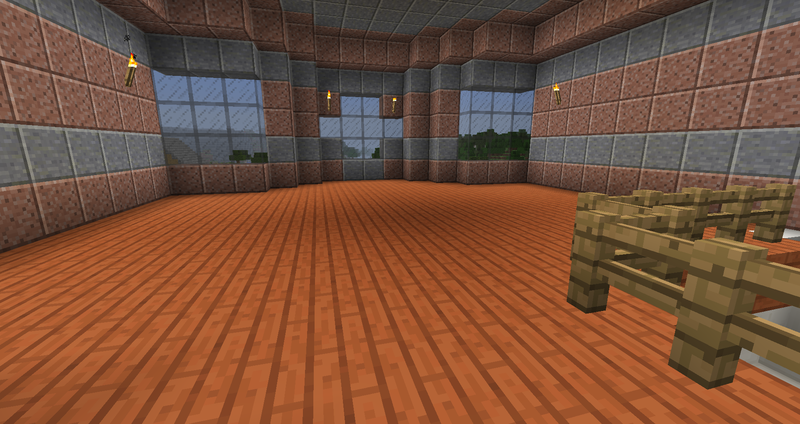 The 1.8 blocks fit in great in this building! I love how you built the desk. Can't wait to see more! 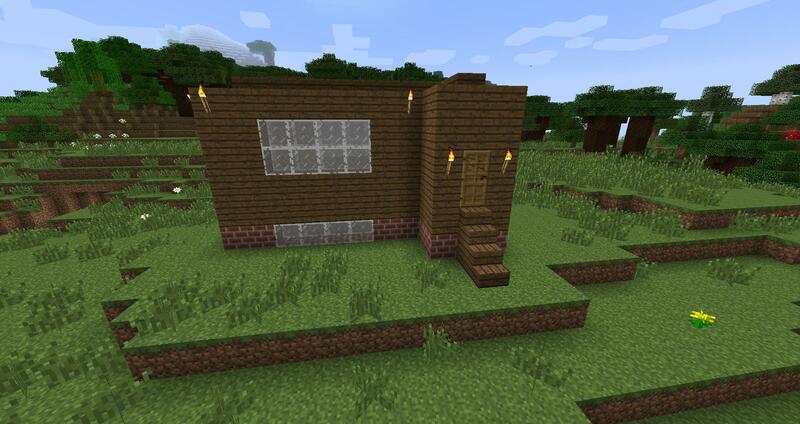 Built a small starter home today. 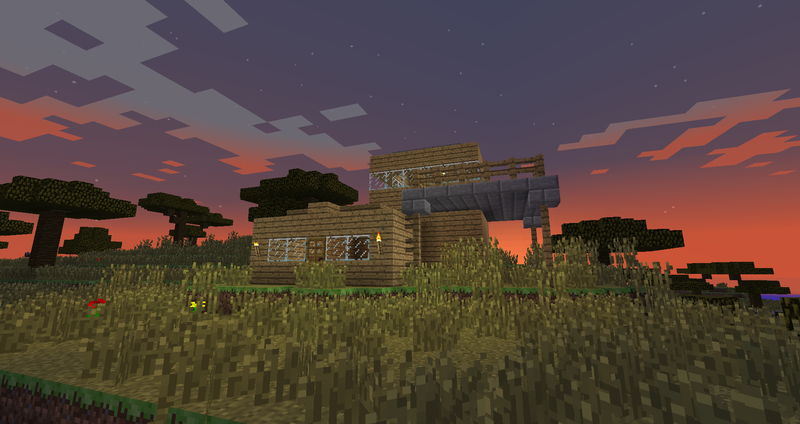 Not very big, but its a good starter home for someone who wants more than a wood shack.